Heading north for a tightly planned 30 hour ‘break-out’ from Canberra to the ‘break-out’ capital of Australia, Cowra, I am hoping I have planned well. I have four things I really want to do and I know it is going to be hot. I have booked warmly recommended country accommodation, and have a table waiting for me at a nearby regional restaurant which specialises in local produce and wines; and I am itching to get to see the Archibald Portrait Prize which I missed in Sydney last year. I always have to remember how many new residents have been welcomed to Canberra in recent years, and how the concept of a weekend break is often confined to the coast or Sydney or Melbourne. 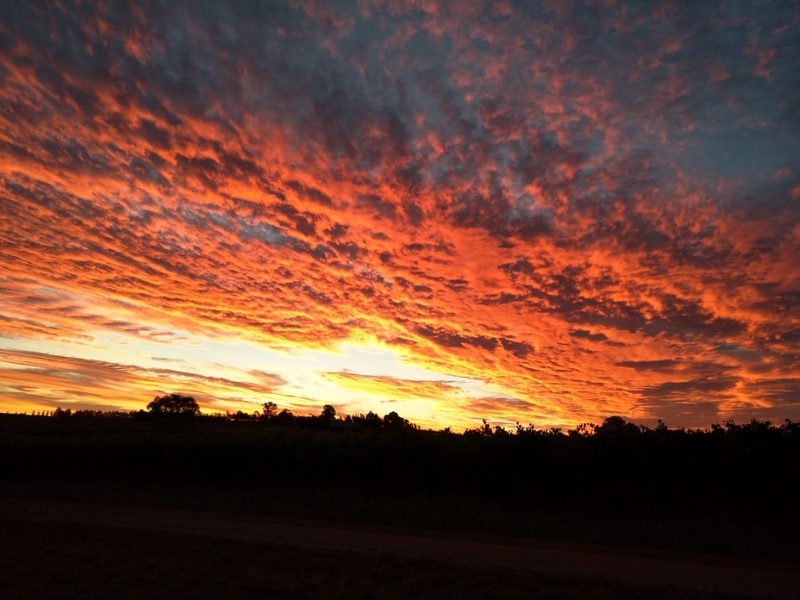 Canberra is in easy striking distance of a number of beautiful rural regions. 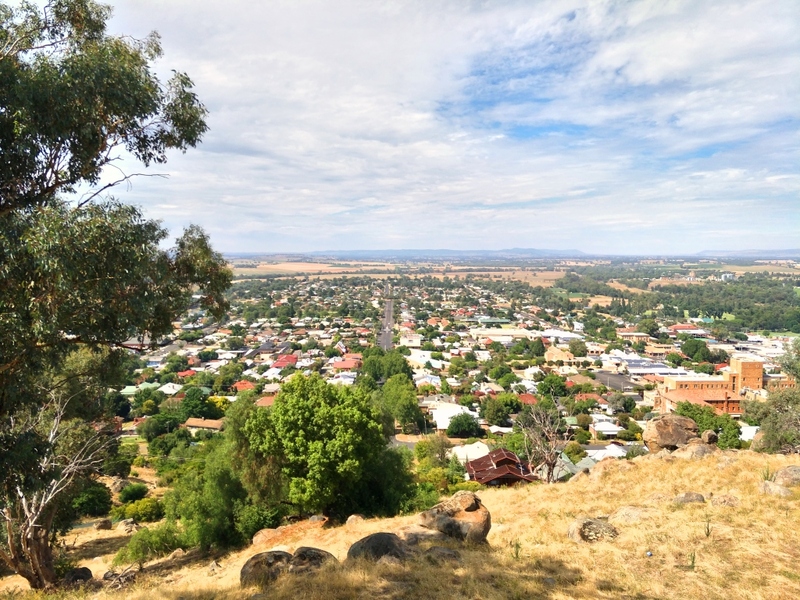 Cowra is very accessible – and mostly on good roads. What I love about Cowra is it is situated on a major NSW cross-road. I love getting to the T-intersection at the end of the Lachlan Valley Highway and being presented with a big sign that invites me to turn left to Forbes and Grenfell, or right to Bathurst and an all time favourite, Canowindra. But for this particular journey, I want to be in Cowra and rediscover all the things I love about this important cultural centre, and it isn’t just about art. 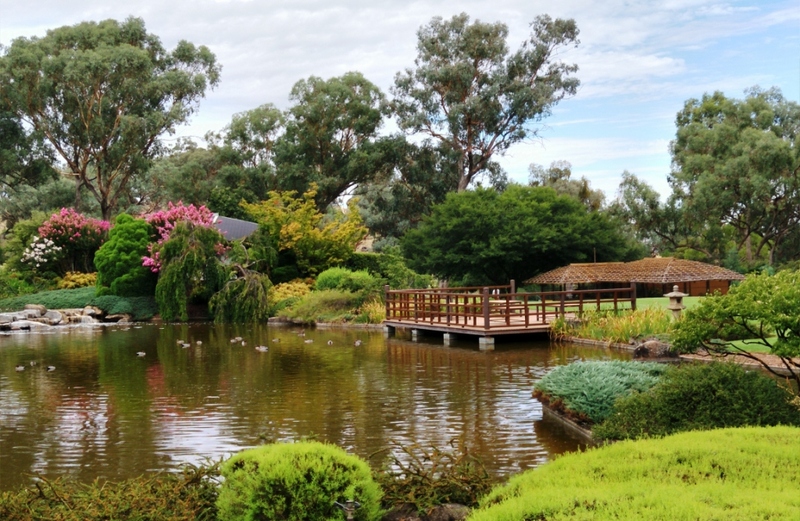 Cowra is also home to the beautiful Japanese Gardens and Cultural Centre, and a former major WWII internment camp that attracts military history buffs from all over. 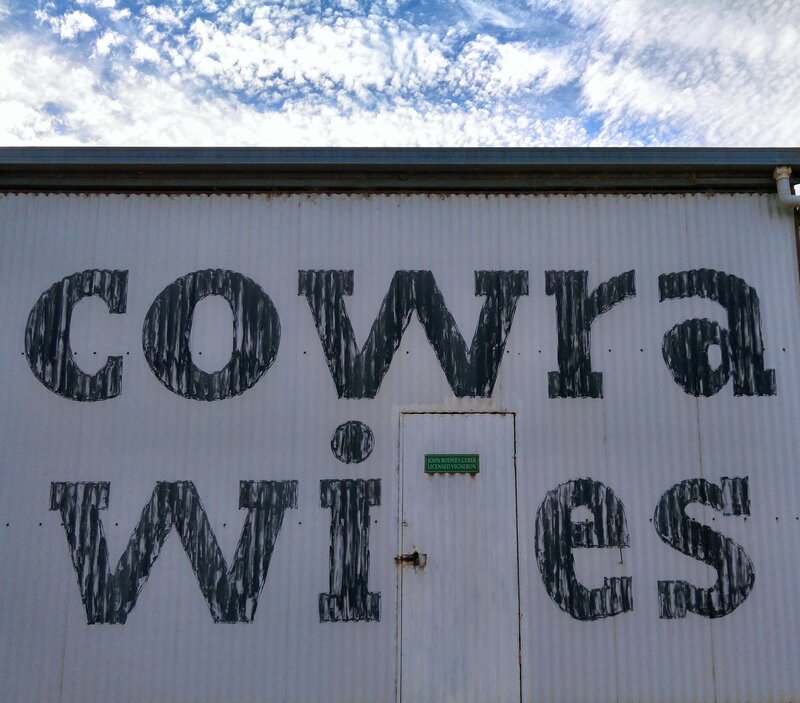 Although a long time haunt of grey nomads, there are some interesting things happening in Cowra. After a later than expected afternoon arrival, the Oxley Wine Bar (two doors up from the former Neila, which many Canberra foodies will fondly remember) was a great discovery. Selling local wines by the glass and providing a great selection of boutique beers, it was also reassuring to be offered a range of quality snacks, even though the kitchen had just closed. 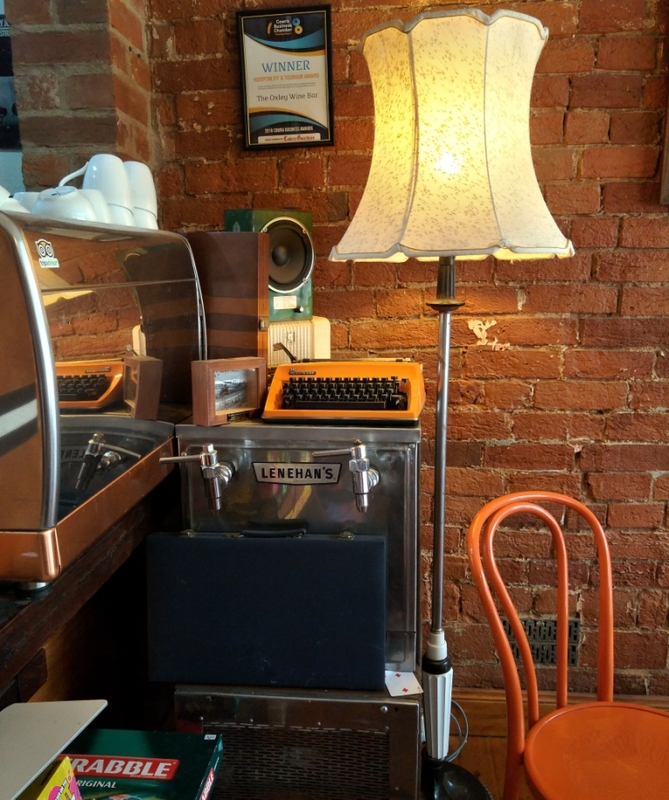 The decor is trendy, but I felt right at home with the retro orange decor highlights, a manual typewriter I was just itching to bash out a few lines on, as well as board games and good coffee. Heading up the hill, the ever-popular Archibald Portrait Prize is at the Cowra Regional Gallery until 19 March, so everyone has a few weeks up their sleeve to plan a trip to the mid-west. And not only is it refreshingly uncrowded, it is free. 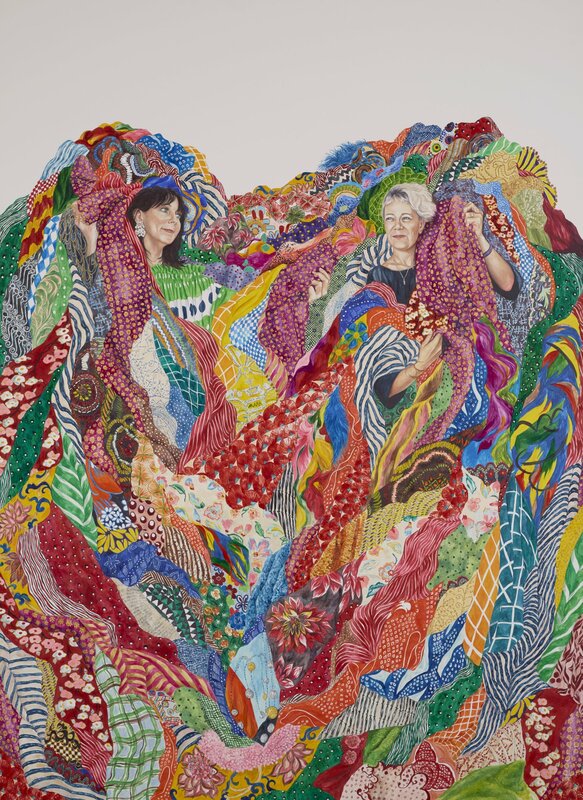 The Archibald Portrait Prize is the usual mix of Australian people who we instantly recognise, we would love to meet as well as celebrities who we may or may not want to meet. 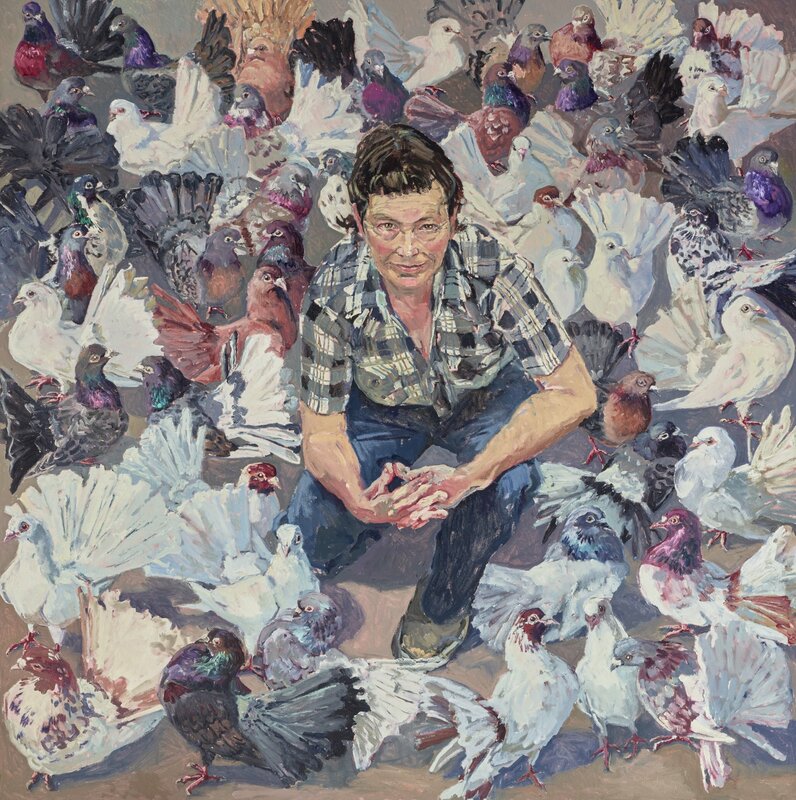 I did a ‘straw poll’ of a few locals to and there is no doubt Lucy Culliton’s self-portrait was extremely popular; although a very insightful, hyper-real portrait of Garry McDonald moved many viewers. ‘Easton Pearson’ by Monica Rohan has been included because it is my favourite! After the exhibition leaves Cowra in March, it will travel to the Bega Regional Gallery, only slightly closer to Canberra than Cowra, but still a very achievable round trip in one day, or could be combined with an overnight or weekend trip to one of the delightful coastal towns nearby. I had carefully booked accommodation as my priority was to stay somewhere with a country feel. Cowra is blessed with a really good range of motels, mostly in town that are suitable for the many events and get-togethers that occur in this busy centre during the year, but I was keen to have a bit of space. 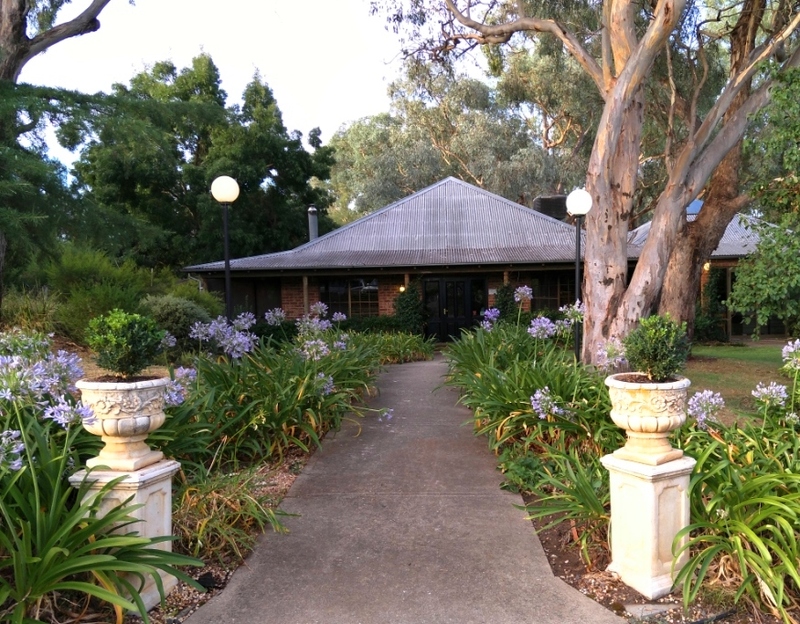 The Vineyard Motel is just off the Highway heading into Cowra. It is located high up on a ridge to catch the evening breeze and much to my delight, a spectacular sunset, followed by a sunrise. This is rural NSW so don’t expect anything other than an informal small motel with wide verandahs front and back, comfortable beds and everything you need for a pleasant stay with great country hospitality. There is also the added bonus that this is the only pet-friendly establishment which I know will appeal to so many Canberra dog-lovers. Another great draw-card is the nearby Quarry Restaurant. Highly recommended by regular visitors and taking pride in specialising in local produce, I was keen to check out an establishment that had been operating for 30 years. 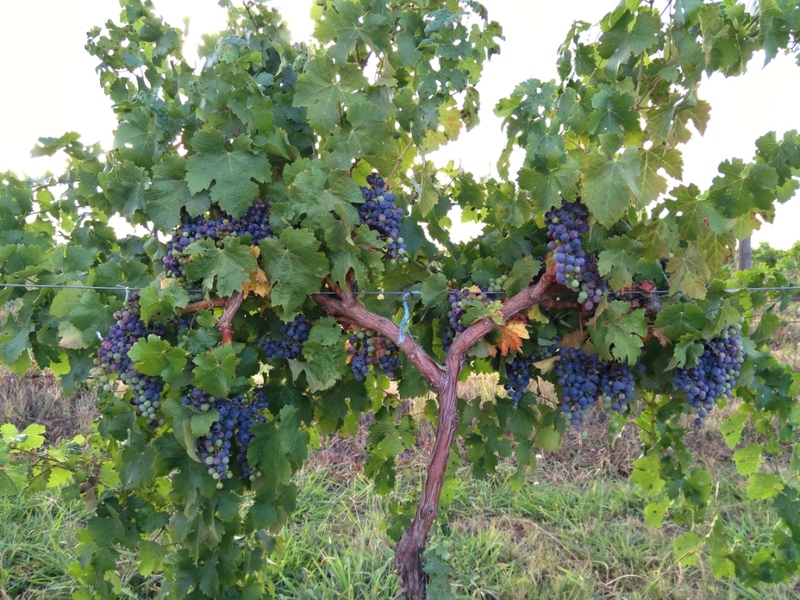 Located a short walk from the Vineyard Motel, along Chardonnay Lane, it was enjoyable to walk past the vines and enjoy the evening breeze – just like Tuscany or Provence! Services was excellent, and I was impressed two people managed a busy restaurant with professional ease, something that can be lacking in some Canberra restaurants. The Cowra lamb with pea pistou, and slow roasted tomato was perfect, with the added bonus of a bowl of fresh seasonal vegetables arriving without being ordered. The desserts were too wicked for words so I sought refuge with a very simple cheese platter with three perfectly aged cheeses. At this stage, there is no cheese industry immediately around Cowra, as the focus is wheat, sheep and cattle, so well-chosen cheeses from elsewhere were completely acceptable. Accompanied by a good selection of local wine by the glass, the Quarry ranks very highly in the competitive regional stakes. Wendy-Jane from the Vineyard Motel lent a torch for the return journey along Chardonnay Lane. After enjoying an dramatic sunset over the vines, darkness fell quickly, revealing there is nothing as black as a country lane at night! 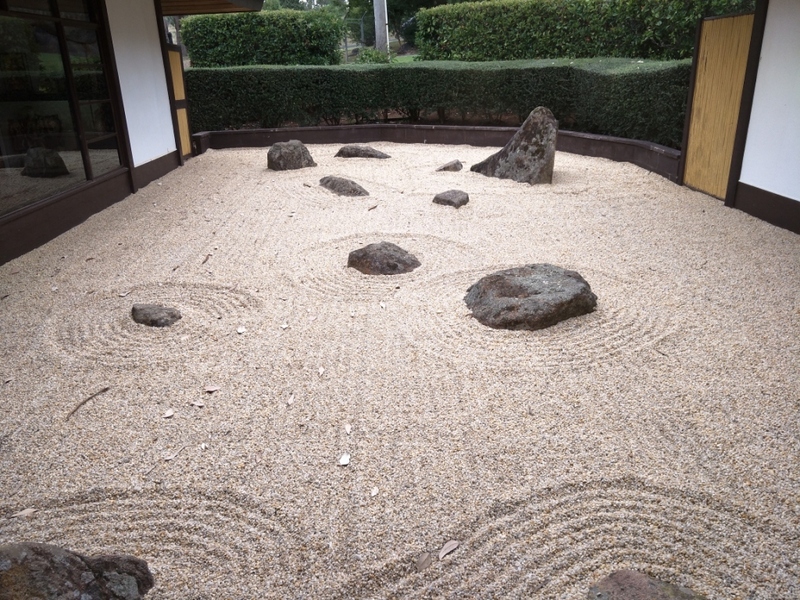 The much visited and popular Japanese Garden and Cultural Centre was lovely to visit on a cool morning. It was established to recognize and develop the relationship between the people of Cowra Shire and the people of Japan, a relationship that has its origins in the nearby prisoner of war camp. During the year there are a number of traditional Japanese ceremonies conducted in the Tea House; festivals such as the annual Girl’s Day in March; and the much loved Matsuri Festival in Spring. 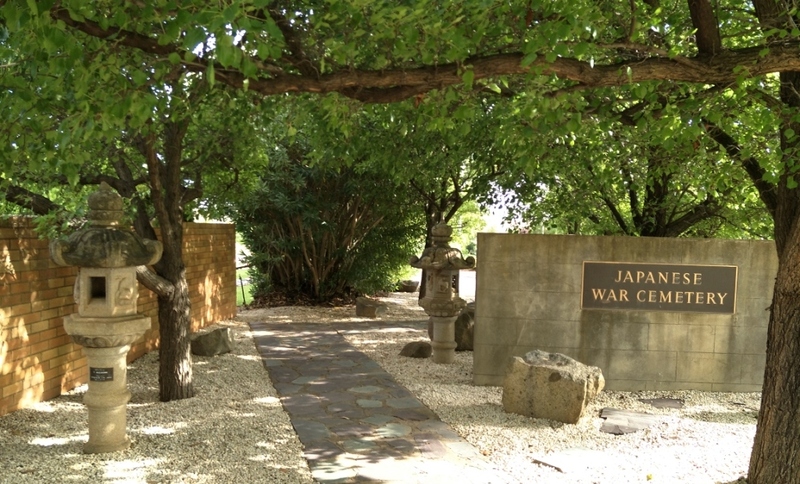 In 1960 the Japanese Government decided to bring all their war dead from parts of Australia to be re-buried at Cowra, along with the many who died in the infamous great ‘break-out’ of August 1944. This was the beginning of the friendship between Japan and the town of Cowra. 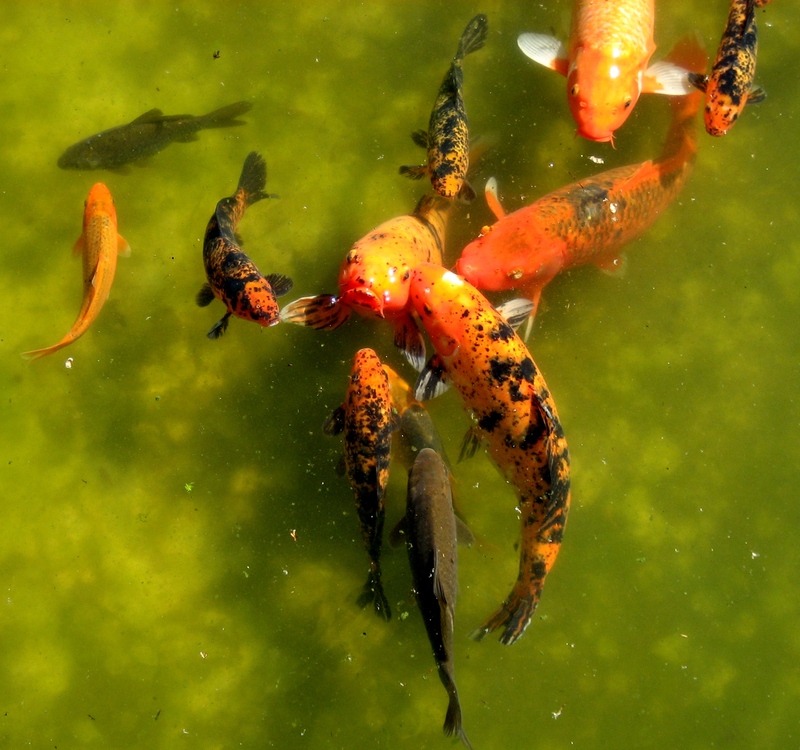 Not so coy Koi when it comes to a $2.00 bag of duck and fish feed! Before I headed back to Canberra I had a couple of hours to spare and found my way over to the railway line and the amazing Lachlan Valley Rail Heritage Centre. Located in the Cowra Depot, built in 1923, the roundhouse is the state’s last survivor of medium sized railway depots designed to serve country areas, usually at the junction of one or more branch lines. The train only stopped running to Cowra in 2009, but an extraordinary bunch of train buffs have combined their interest, limited resources and enthusiasm to maintain and preserve a fascinating range of trains. This museum isn’t just for those who hanker after a “Thomas the tank engine’ moment. The volunteers who man the museum hope that one day the trains will run again, and some of them will be the carriages they are working so hard to refurbish. 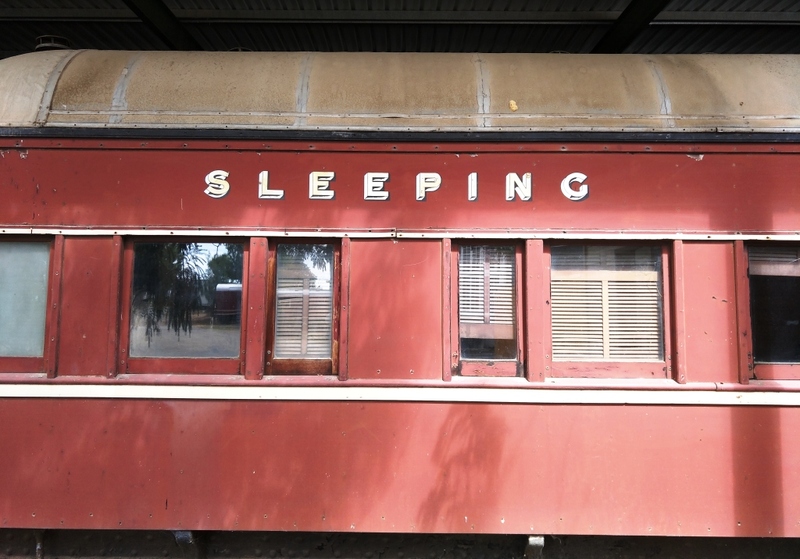 I was completely delighted to be shown a sleeper that is probably the same as one I slept in returning from Sydney to Canberra one long winter’s night in 1972. The train pulled into the Kingston station about 3 am and passengers could stay until 7 am before ‘disembarking’. A visit to Cowra and a visit to the Cowra Regional Gallery should be on every art lovers calendar. It is a return trip that can be made in a day with daylight saving, or make a 30 hour getaway and enjoy the many other things this interesting town has to offer. Distance from Canberra: 190kms – follow the Barton Highway north to Yass, swing left and head towards Melbourne on the Hume Highway and then turn right onto the Lachlan Valley Way, taking care as you are turning across busy highway traffic. Follow the signs through Boorowa. Time: Allow just over 2 ½ hours, and that includes a brief pit stop in Boorowa. 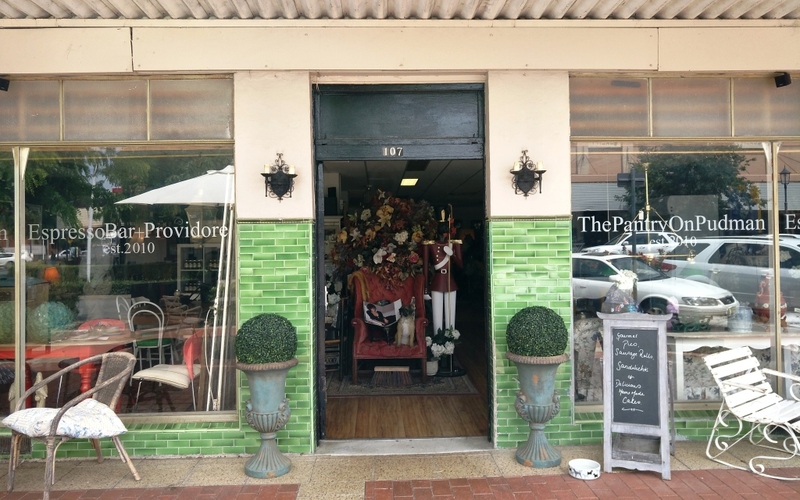 Some nice plantings have made the main street quite attractive and the Pantry on Pudman cafe is easy to locate just adjacent to the big roundabout. This quirky, bordering on hipster establishment, is fitted out with the best collection of mis-matched everything I have ever seen. Good coffee, great muffins, fresh sandwiches and snacks, the service is friendly. Pictured at top: Japanese Garden and Cultural Centre. A fantastic, but often overlooked, attraction is the holographic presentation at the visitors centre. I took our kids there years ago and while they would normally be bored with educational displays at rural visitor centres, they sat through this twice. I’ve been back several times and taken others there, all of whom have been impressed. The presentation features a small hologram of a youg lady telling a story of her experiences during WWII. It’s a great introduction to what happened at the POW camp before going out and seeing the site for yourself. I didn’t get to see that as we missed the turnoff (next time!) but the POW/internment camp was interpreted really well.. I knew there were a lot of Italians interned and I was interested to see the handsome memorial that has recently been installed. It is a fascinating place and I will take longer next time. I stayed at Cowra in November last year as part of a 1000km motorcycle trip around the region. It is an interesting area and if travelers are looking for a different scenic route back to Canberra I would recommend the way I came back home, if you have time to spare. First head north east up the highway then right turn to Woodstock (not THE Woodstock). This a nice little village with a few old veranda buildings. From Woodstock head south down the Reg Hailstone Way to Wyangalla Dam. This road is a bit narrow and windy but takes you through the heavily wooded Wyangala Conservation Reserve. A beautiful and relaxing place. Now here is where it got a little tricky as my TomTom GPS app on my iPhone said I had to ride the road over the top of Wyangala Dam and continue onto the Boorowa Road (Frogmore Road). Problem was there was a locked gate at the dam barring traffic. Luckily a worker appeared as I arrived and informed me there was a new road and bridge in Wyangala Dam village that I had to use. The new road is Trout Farm Road which crosses the Abacrombie river below the dam, this road then morphs into Darbys Falls Road. The area around Wayngala Dam is hilly and surrounded by very interesting outcrops of granite (I think). Quite spectacular. After finding the new road I turned left off Darbys Falls Road into Frogmore Road then Rugby Road and headed towards Boorowa. The roads on this section along are a bit cut up due to the major flooding in the area last year so it is worth it to take a little care. The overall trip was enjoyable mainly for the reason of virtually no traffic. There was interesting scenery varying from the hilly forested area of Wyangala to the open farmland further south. Neal, I love the sound of that route. I have travelled the back way from Yass to Boorowa but in my old Honda hatch.. I was told there was a back route to Cowra via the dam a few years ago, but didn’t want to try it in my old Honda hatch. It sounds a lovely route and I will definitely try it when I am next heading that way later in the year now I have a newer car! I visited this place in winter and stayed in a sheep station , a great get away from Canberra for a weekend. I will be visiting again in spring in the future.